The FDA has approved Jeuveau (prabotulinumtoxinA-xvfs) from Evolus, Inc., for the temporary improvement in the appearance of moderate to severe glabellar lines associated with corrugator and/or procerus muscle activity in adults. It will be available to physicians this spring. Results from a pooled analysis of four Phase 3 clinical trials show that patients with moderate to severe plaque psoriasis (PsO) treated with Cosentyx (secukinumab, Novartis) 300mg reported improvements in mobility, self-care, and usual activities components of the EQ-5D-3L questionnaire as early as Week 4 when compared to placebo in patients who reported problems at baseline. The pooled analysis of the ERASURE, FIXTURE, FEATURE, and JUNCTURE trials, reported by Novartis, included patients with moderate to severe PsO who were randomized to receive placebo or Cosentyx 300mg and who reported problems with mobility, self-care, or usual activities at baseline, as recorded by the EQ-5D questionnaire. The percentages of patients reporting problems were compared at weeks 4, 8, and 12 between patients receiving placebo and Cosentyx 300mg. Change in Mobility: The percentage of patients reporting no problems in mobility at week 4 was higher with Cosentyx 300mg than placebo (60.7 percent vs 38.5 percent); similar trends were observed at weeks 8 and 12. Change in Self Care: The percentage of patients reporting no problems in self-care at week 4 was higher with Cosentyx 300mg than placebo (71.4 percent vs 40.9 percent); similar trends were observed at weeks 8 and 12. Change in Usual Activities: The percentage of patients reporting no problems in usual activities at week 4 was two-times higher with Cosentyx 300mg, compared with placebo (63.8 percent vs 31.1 percent); similar trends were observed at weeks 8 and 12. About 18 percent of the approximate 385,000 annual injuries from sharps in the United States are incurred by resident physicians, and it has been previously suggested that derm residents are at a particularly high risk of such injuries, but there has been little data to support this notion—until now. Here, Chance Morris, BS, a medical student at University of Oklahoma Health Sciences Center in Oklahoma City, discusses the results of his recent study on resident physician sharps injuries in the January 2019 issue of JAMA Dermatology. Mr. Morris: Sharps injuries are a prominent occupational hazard for healthcare providers and a financial burden on healthcare systems in the United States. Additionally, dermatology residents have previously been suggested as a particularly vulnerable population. Demonstrating a significant difference in the nature of sharps injuries among dermatology residents compared to trainees within different medical specialties may provide previously unrecognized points of focus for future specialty-specific sharps injury research, education, and safety measures. Mr. Morris: Records were obtained for resident physician sharps injuries reported between 2010-2017 at University of Oklahoma Health Sciences Center (OUHSC) facilities. Resident injury reports were isolated and stratified by specialty-type (dermatology, non-dermatology medical specialty, or non-dermatology surgical specialty). Proportions of total injuries involving specific devices or conditions (e.g. passing instruments between employees) were compared between groups using Chi-square and Fisher’s exact tests. Our study represents the largest non-survey-based analysis of resident sharps injuries to date. We demonstrated that dermatology residents, in comparison to those of other medical specialties, incur a higher proportion of injuries involving suture needles and a lower proportion of injuries involving bladed instruments or hollow needles. Injuries occurring during the performance of procedures (i.e. not during preparation or after completion) represented 89.8 percent (416/463) of total resident injuries. Mr. Morris: Our study provides non-survey-based support for the recommendation of future sharps injury research and education being targeted specifically towards prevention of suture-needle injuries. The literature would benefit from similar follow up studies at institutions outside OUHSC to confirm the external validity of the results seen in our study. Morris C, Adotama P, Li J. “Comparison of Injuries From Sharps Among Resident Physicians Within Dermatology and Other Medical and Surgical Specialties.” (2019). JAMA Dermatol. Impoyz Cream (clobetasol propionate) Cream 0.025% demonstrated efficacy early with 14.2 percent of Impoyz patients achieving treatment success at day 8 versus 1.6 percent in the vehicle group, according to results of a pivitol study that were shared at the 15th annual Maui Derm Conference. Treatment success was achieved when subjects received a “clear” or “almost clear” assessment, marking at least a 2-grade improvement from their baseline assessment. 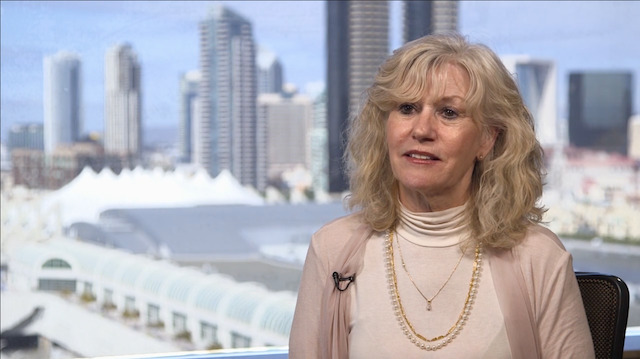 Efficacy continued during the second week of treatment, with 30 percent of subjects in the Impoyz group achieving treatment success compared to nine percent in the vehicle group by day 15. The only adverse reaction reported in the Impoyz group that occurred in at least one percent of subjects treated and was at a higher incidence than the vehicle cream was application site discoloration, two percent versus one percent. Rare adverse events occurring in less than one percent of subjects treated with Impoyz included application site atrophy, telangiectasia and rash. 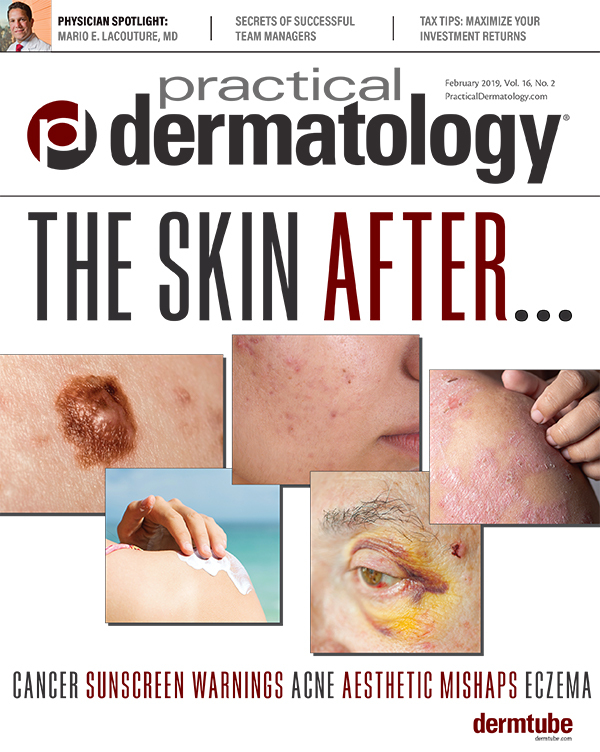 Practical Dermatology® magazine spoke with Joseph Sardano, Chairman, CEO, and President, of Sensus Healthcare to get an update on the growing company. Joseph Sardano: First and foremost, superficial radiation therapy or SRT continues to lead our product offerings and our company. It is still the technology of choice for physicians and their patients who choose not to have a surgery to cure skin cancer. It’s becoming increasingly popular as it becomes known through education and training of the physicians as well as the population that has keloids. We have advanced the product into two new product lines. The SRT-100 Vision has ultrasound and many other features to help physicians with better treatment planning and better treatment awareness for the patients and documenting throughout the process. SRT-100 Plus recently received FDA clearance. It allows for lower ranges of radiation therapy and allows physicians to possibly get into treatment of psoriasis. We have several studies that are going on right now. Both devices can communicate with EMRs and are HIPAA compliant for downloading patient data and information. This is especially helpful for practices that have multiple units in multiple offices. 2. The US leads the global market for SRT. Mr. Sardano: The United States is the number one market in the world for dermatologists treating with these technologies. In many parts of the world, regulations require that a radiation oncologist or radiation oncology department use these systems to treat. Most of these other countries also rely heavily on socialized health care. So the cost effectiveness of the product and the direction to be treated with radiation oncology in many countries is an obstacle. We are focused on pursuing certain countries that have exceptions with dermatology, plastic surgeons, as well as radiation oncology, to use these devices. 3. Patient demand is driving growth. Mr. Sardano: Let’s make no mistake about it. The gold standard for treating skin cancer is surgery, but the SRT is an excellent complement to a Mohs practice or to a physician’s practice who wants to treat skin cancer. Most of our installations are in Mohs surgeons offices. Previously, when you were diagnosed with skin cancer, the only solution was to cut it out. But it might not have been the best option. A lot of patients that are over 65 have preexisting conditions, like diabetes, which is pretty much an epidemic. When you cut on those people, they have an increased chance of infection. Then you have patients that are on Beta blockers or blood thinners. I think doctors are seeing more patients walking through their doors wanting to understand what their options are. You’re always looking for the best alternatives that provide the best solutions possible for better outcomes. Our physicians say they are seeing more patients walking through their doors. It adds more productivity to the physician’s office as well as positive cashflow because it’s very well reimbursed by Medicare, Medicaid. We listened to them as to what they want; it’s one of the reasons why we set up our office in Tel Aviv. Israel is one of the premier places in the world for developing laser technology, and we wanted to access those brilliant minds to develop our own line of lasers. We submitted a family of lasers to the FDA before the end of last year and hope for approval very soon. 5. Expansion into lasers is coming. Mr. Sardano: I think our future is very bright. I think SRT will continue to grow at the rates it has grown over the last seven years. People don’t realize that the market for skin cancer in particular is four times greater than all the other cancers combined. We hear all of these things about breast cancer and lung cancer and prostate cancer. These are very serious cancers. But six million people in the United States will have skin cancer on an annual basis, and that’s growing at six percent a year. Doctors are going to have to look at ways to increase their productivity, to improve their outcomes, and to provide technologies that are going to be more cost effective than the technology that exists today. Our mandate from day one is cost effective technologies that are going to provide outcomes that are the same or better than exists today, including for lasers. At the meeting of the AAD, we’re literally the only company on that floor that will have all of those technologies. So you could consider us as one stop shopping for skin cancer, keloids, lasers. Sensus is a strong technology developer, an innovator. We want to provide the total solutions offerings to our physcians in the dermatology and plastic surgery as well as radiation oncology world. We’re very much looking forward to impacting the industry. A team of investigators from the University of Colorado College of Nursing at CU Anschutz Medical Campus and National Jewish Health has identified comprehensive guidelines for managing severe atopic dermatitis (AD). Considering hospitalization, treatment with the systemic biologic dupilumab, and phototherapy. “Life with severe atopic dermatitis can be incredibly difficult for our patients and their families, and it can be quite challenging to care for. It’s important to let our patients, caregivers, and healthcare providers know that we have entered a new and exciting era in the treatment of AD with a number of targeted therapies approved or being studied which are referenced in this clinical review,” says Mark Boguniewicz, MD, Professor, Division of Allergy-Immunology and Department of Pediatrics at National Jewish Health and University of Colorado School of Medicine. Merz Americas is partnering with supermodel, actress, and entrepreneur, Christie Brinkley, to launch its “Milestones of Me” campaign, which encourages women to celebrate the moments, big or small, that have made them who they are today. The campaign kicked off in honor of Christie’s 65th birthday and inspires women to not shy away from wanting to look and feel their best as they celebrate new milestones. One of the ways Christie says she continues to look and feel great is with Ultherapy. Allergan’s new direct-to-consumer campaign, “Own Your Look,” aims to address the most common misconceptions around Botox Cosmetic (onabotulinumtoxinA) among millennials, namely the fear of looking frozen. This is the first campaign from the brand that was created specifically to address millennial women and men who are increasingly curious about aesthetic treatments, while continuing to speak to core consumers (women ages 34-45). The “Own Your Look” campaign addresses head-on the fear of looking unnatural by showcasing real Botox Cosmetic users in their 20s, 30s, and 40s, and their authentic facial expressions in response to all sorts of life events. Over 23 years working in specialty pharma/biotech across ophthalmology, dermatology, and aesthetics, Todd Zavodnick has lived and worked in China, Switzerland, and the United States. He is bringing his knowledge and experience to Dermavant, where he was recently named CEO. Todd Zavodnick: Dermavant is a company that genuinely excites me. Our lead asset, tapinarof, is truly a pipeline in a product when you look at the potential ability for it to address psoriasis as well as atopic dermatitis. It’s a non-steroidal preparation that has met primary efficacy endpoints in phase 2B studies, which are published in the Journal of the American Academy of Dermatology. We also have other product candidates in the pipeline for atopic dermatitis, hyperhidrosis, vitiligo, and acne. Dermavant is a biotech company that we aim to operate within medical dermatology and deliver innovation. We understand what patients and healthcare providers need in today’s market. We also understand access and what managed care is going to mean to the United States in the years coming, and the novel approaches it will require to ensure new medicines reach patients easily. 2. Opportunity exists in medical dermatology. Mr. Zavodnick: There are large incidences of dermatologic diseases like psoriasis, atopic dermatitis, acne and rosacea. In 2017 the medical dermatology market was $22 Billion and is projected to grow in 2024 to over $43 Billion. The majority of that growth is really driven via psoriasis and AD and innovation surrounding these. We believe that a strong need exists for a new mechanism of action to a fast-growing market. Today, as a clinically-focused company, we plan to execute our trials in an expeditious way to ensure we are positioned to enter the marketplace with tapinarof as fast as possible. Mr. Zavodnick: There have been two schools of thought in medical dermatology. The pathway of combining older entities is one model where you took older products and combined them and tried to obtain access through managed care and pharmacy benefit managers. At Dermavant we’ve been focused on innovation via new pathways. Tapinarof (acquired from GSK in August 2018) allows us the opportunity to provide a new treatment option in psoriasis and atopic dermatitis in the years ahead. Some companies have made the choice to divest out of dermatology, and respectfully everyone needs to decide where their true core competency resides. I believe what we have learned to date is that small to mid-size nimble companies are and can be really strong in the field of dermatology, which truly allows for a high level of personal touch with the physicians and patients. When you look at the players that are committed to addressing mild, moderate and severe psoriasis or atopic dermatitis, pretty much every big pharmaceutical player has an injectable or a future oral product. If they’re in the space, that tells you that there are patients with unmet needs. That being said, it only amplifies the overall need for true topical innovation for patients before they get to the need for these orals and injectables. 4. There’s a focus on access. Mr. Zavodnick:I think as a start-up biotech organization Dermavant needs to be gritty, nimble, execution focused, and thoughtful in how it spends money. We’re very focused on our clinical programs, and we have planned strategic applications for all five of the assets. As an organization with approximately 50 employees, we will continue to hire people with proven experience. Dr. Phil Brown, Dermavant’s Chief Medical Officer, has led and executed large phase 3 clinical trials. He’s built regulatory organizations and worked closely with the FDA over the past 20 years. He’s been a big part of global drug development and understands the global marketplace and how the international marketplace plays into the mix as we either look for other assets, or we look to partner our existing assets. Our focus is to bring products to market that are innovative and truly meet unmet medical needs, allowing patients to achieve excellent clinical outcomes. As we head toward commercialization, we aim to ensure that patients have access to our products. We intend to develop focused plans for regulatory approval and market access that are specific to each market to ensure that our products are not only approved by regulators but that patients have ease of access to them. Access to medicines in the past decade has become very different, even challenging at times, and an annoyance for physicians’ offices and patients trying to obtain their prescriptions. As a company, it is not something you can discount easily; getting the product approved does not mean it’s going to be successful. You must be laser-focused on this concept in your planning process, having detailed access plans mapped along with your marketing plans, to truly to ensure providers and patients can access the innovative medicine with ease and achieve success for all stakeholders. Mr. Zavodnick: Dermavant is committed to leadership in medical dermatology operating in disease states that crave innovation. We aim to be a nimble and precision-based organization that delivers innovation in a way that physicians and patients are expecting for their practices and their patients.